Horizon Radio Listeners Stories & Memories. Here we invite our listeners to tell their own stories of how they became part of the Horizon Radio 94.5fm and 102.5fm family back in the 80’s. Please use the contact form at the bottom of this page to send in your stories. Barry, Thank you for your email and remembering us in the way you have. Those where ground breaking days way back in the 80’s and much needed at the time. We have lots of Soul Radio stations with us to day via the web, but none that are anywhere near what Invicta, JFM and Horizon where all those years ago. One of Horizons saying back then was, Often Imitated never equaled, still true today. Hi what a great site, so many great memories. I think it was 1982 or 1983 the station was running a draw for winner to come to the studio and record a show with their favorite dj. I selected Gary Lee as I really appreciated his knowledge of soul music. Somehow I seemed to be selected and was duly contacted by Gary Lee and was told to turn up at Oval tube station at a certain time and date which I duly did. On arrival I was promptly met by Gary and Barry Jameson who put me into the back of a car and put a blindfold on me so I had no idea where I was going. Had anyone witnessed this they must have wondered what the hell was going on. After a few minutes I was led out of the vehicle and into a building, was eventually invited to remove the blindfold and there I was in the Horizon studio. I then did the show with Gary which was my top ten soul tunes which was later aired over Xmas. Soon it was all over back on with the blindfold and driven back to Oval tube station. Many years later circa 1999 I was in a pub in Hulbridge – Essex and at the bar I overheard the name CJ Carlos mentioned and Horizon I looked up and it was Barry Jameson and I said hello and mentioned my visit to Horizon. 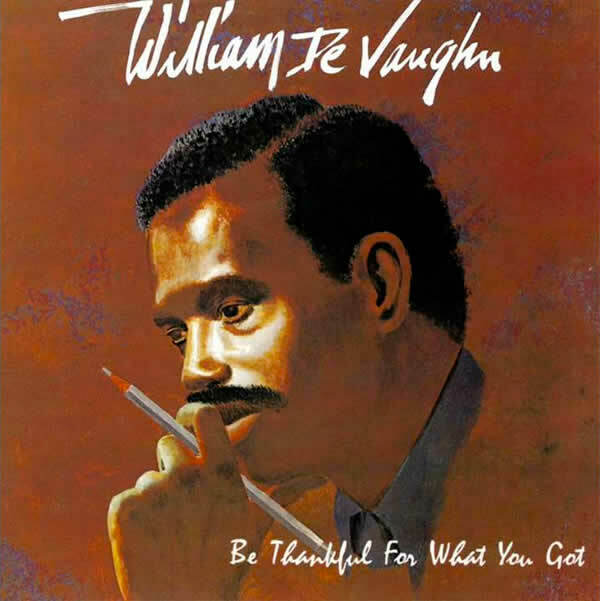 One Christmas when Chris was doing a choose your track show, l got through and asked him for “Be thankful for what you got” by William De Vaughn. One of Chris’s previous shows was the first time l got to hear the 12 inch version. Sadly he played me the wrong one. He played Creme de creme instead. Still a top tune though. I rang back and Chris said he would play it on his next show. Humm l wonder if he did? That memory, along with that nearly all night live broadcast from Kisses nightspot which included tracks from the album Thriller, moment of my life by inner life, Tees happy remix by northend Do it to the music Raw Silk and many more was just simply a night of magic. Horizon coming live from a club was just as brilliant and best as it gets. God rest your saintly soul Gary Lee and any other beautiful people who were connected with Horizon and wow, what a station, and what a blast we had with fantastic music that came from just over the Horizon. Joseph thank you for those memories, we have asked Chris if he did play it and he said as it was one of his favourite songs, he most certainly did play it many times. The outside broadcasts from Kisses, the Podium, Dougies and many more, was Horizon Radio showing what could be done, the first and only radio station to do OB’s. Thanks for your email, have a great Christmas and a wonderful 2018.